There is a special corner in Venice, that just like many others, you don’t need to introduce like, The Rialto Fish Market. You definitely have heard of it, and if you’ve been to Venice you’ve most likely already had a stroll along the historical fishmonger stands. This millennium year old market is one of the most symbolic features of Venice that is integrated with the lagoon and Adriatic Sea resources. It has always been the island resident’s reason to boast about. But times change and even the city that has always known how to adapt and reinvent itself has to admit certain dilemmas regarding some of the most important areas of the island and the Rialto Fish Market is no exception. We won’t discuss in detail the reasons for this crisis (from fewer habitants, mass food production, to the changes in the way people eat) But as of now the risk of seeing one of the most celebrated areas disappear alarms Venetians and tourists who come to visit hoping to uncover the many secrets of this territory still alive with traditions and cultural institutions. What can we do then? Simple: Venetians and tourists can unite and simply purchase some fish from the Rialto Market. For Residents it is a more consolidated habitual effort and for tourists it represents instead the unique occasion to directly experience a local real-life event. For those who choose to stay in an apartment in Venice, buying fish at the Rialto Fish Market represents another motive, a gluttonous one: fresh fish to cook, with your own hands in the comfort of a home, while following a typical Venetian recipe. Don’t forget to follow any cooking suggestions from the fishmongers who are more than happy to help. 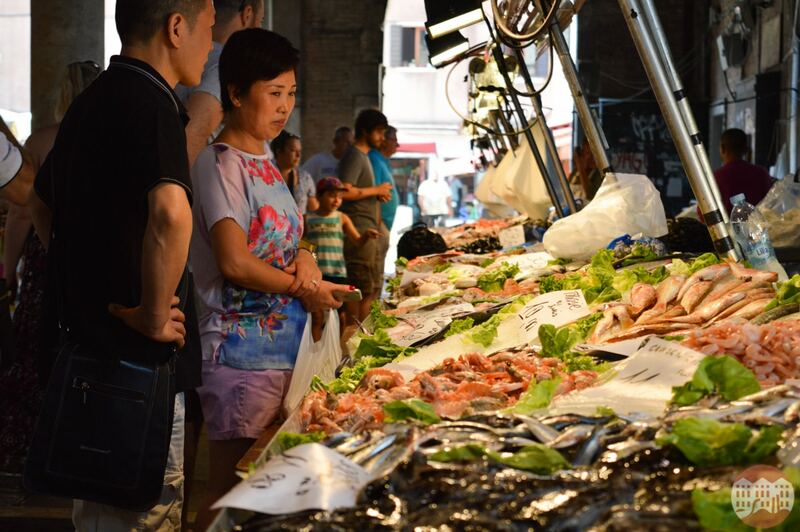 You don’t need to be a great chef to purchase fish, but a small gesture can contribute to your fascinating vacation in Venice and at the same time help preserve the symbolic market in the Serenissima.